Do you love to sing? Would you like to meet interesting women who share your passion? 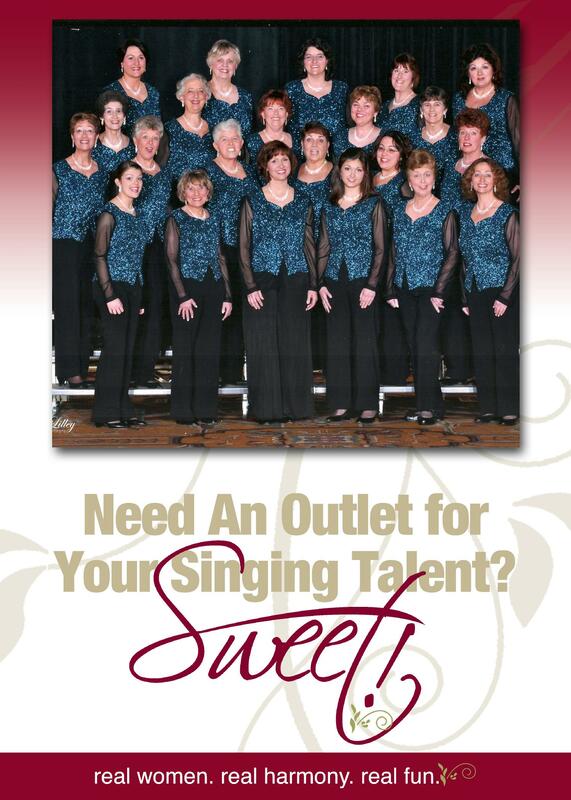 You could become a member of the largest women’s singing organization in the world….Sweet Adelines International! Come hear about our local chapter, the Berkshire Hills Chorus, at our Membership Open House on Tuesday, January 24 at 6:30 pm at the Unitarian Church (our new rehearsal space) at 175 Wendell Avenue in Pittsfield. No singing or chorus experience is necessary. Just bring your voice and a desire to learn how to harmonize…we’ll teach you the rest! For more information or to RSVP, contact our Membership Coordinator.